Various industry that need delicate separation often consider decanter centrifuge due to its high RPM rotation speed. Decanter centrifuge to be function it well, it needs to be well balanced on bowl that contain horizontal screw that perform the separation. When decanter centrifuge is arrived to its location, the balance of the bowl should be first one to check for possible problems. When the transport personnel will be sent to the horizontal screw centrifuge, we must promptly carry out inspection, in order to prevent future disputes, we better be able to face the inspection, to confirm the quality of the horizontal screw. When decanter centrifuge arrived, it needs observe the appearance of opening the crate, and then observe the appearance of decanter centrifuge, check the external metal have no obvious cracks, scratches, occur in the process of handling without impacting the dent. Manufacture that provide the inspection list, the receiver will check all the parts are available, the model and the purchase of the goods are in the same way, this can effectively avoid sending the wrong goods. Connect the decanter centrifuge with power source and turn it on, examine some of the functions of the horizontal screw decanter centrifuge, if the use of the general function appear without issue during the inspection, then the decanter centrifuge is ready for treatment operation. Manufacturer like GN Solids America LLC suggest below if driller facing during the process of the drilling fluid. Regular maintenance on the centrifuge such as regularly washing the inlet and outlet by filling water or diesel is major step to avoid serious breakdown. It is also crucial that add lubrications to the bearing parts to ensure proper lubrication. In order to ensure the process in the use of these parts in regular drilling operation which influences the effective of oil well drilling. The electronic parts of the centrifuge are working the best by running certain period of time frame (like none-stop for hours) and avoid rapidly turn on and off of the decanter centrifuge often can make sure less-failure of the parts as well. 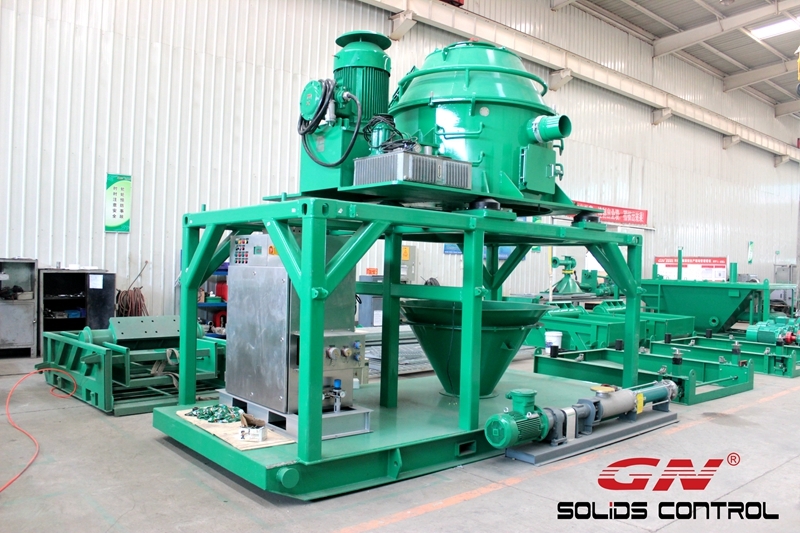 GN Solids Control is a worldwide famous brand for mud solids control equipment, drilling waste management equipment, as well as high quality replacement shaker screen. 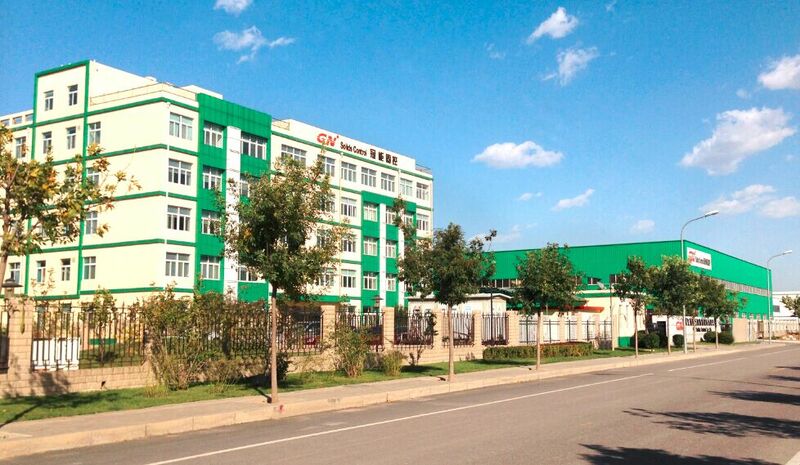 GN is from China, now GN has separate brand and warehouse in Russia, and Houston USA. Chinese New Year, also known as Spring Festival, it is the greatest event in China. It is the most important and the greatest event in China and for all Chinese people and oversea Chinese. And, it is coming on 28th Jan. 2017. 2016 is a big bigbig tough year for petroleum person. Seen from the activity drilling rig quantity, 2016 may be the worst year for the recent 30 years. Crude oil price keeps low down and down. So many rigs stop working. People lost their jobs. There are too many second hand equipment and system on the market. New equipment demands keep downturn. The good time is far away.So many oil related companies cannot survive and closed. Some of them are no longer in this field and change to other business. In order to thank the hardworking of all GN people, GN Solids Control will hold a fantastic New Year party before the holiday. All GN stuff will join the party. There will be performance team to give wonderful programs, like Singing, dancing, magic show, traditional show, etc… But the most important, most attractive, and the most exciting time, is prize draw. The company prepared 5 stages prizes it can cover 2 thirds of the Participants. The continuously low crude oil price for the past two years almost affected every company related to the oil and gas industry, especially the drilling companies and oil serve companies. Every economic unit is looking for a practical way to save the money while get the work done. And such trend brought some change when drilling companies or oil serve companies choose the equipment. In oil and gas drilling practice, more and more drilling companies are using only 3 phase solids control equipment, including shale shaker, desander and desilter, for one thing, it could reduce the drilling companies’ cost if they don’t used the high cost decanter centrifuge, for another thing, the decanter centrifuge is more gentle for operating, only one set of decanter centrifuge may need 2 operators if it need to run around the hour. The drilling company tend to find a specialized mud company or mud station to do this job, for the forth phase separation. Before, a mud station or mud plant is mostly used to storage the drilling mud, to get the new mud to be ready for new project, or just, to the most, add some necessary chemicals into the well treated mud. That’s why in traditional mind, the mud plant need mostly: 1. Mud tank, 2. Mud agitator, 3. Mud guns, 4. Jet mud mixing hoppers and shear pumps. But since the change of equipment adoption in drilling companies, more functions are needed for the mud plant to have. Some mud plants now are using decanter centrifuge, it means, the forth phase of mud cleaning system is proceeded in a mud plant. In this way, the drilling companies are cutting the cost while the mud plant may gain more benefit from investing the high standard separation equipment. Recently, GN has provided several high standard mud plant in this type, for more information, welcome to contact GN directly. During the oil well drilling, the decanter centrifuge for purify drilling fluid commonly use in the mud cleaning system. It is the last stage of filtration of very small solid debris whose diameter size are 2-7 μm from the drilling fluid. The usage of decanter centrifuge to filter the fine solids in the mud, the mud can lubricate well for the drill bits that is using. It also can improve the speed of the drilling bit as well. With the well drilling industry ways and the technologies are getting more advances, the drilling fluid centrifuge manufacture technology also improved as well such as better casting material, cost of manufacture the machine is reduce too. However, there are mechanical issues if not solved it will give the driller many function problems. 2. Consumable parts (inlet pipe, shockproof strip) problem. 3. Excessive vibration wile machine is currently working. 4. Outlet blocking by solids wish to remove from fluid. 7. Bearings failure while process of operation. 8. Drilling fluid centrifuge hoses damage. Manufacturer like GN Solids America LLC suggest below if driller facing during the process of the drilling fluid. Regular maintenance on the decanter centrifuge such as regularly washing the inlet and outlet by filling water or diesel is major step to avoid serious breakdown. It is also crucial that add lubrications to the bearing parts to ensure proper lubrication. Driller needs schedule inspection in timely base on checking wear and tear parts on the drilling fluid decanter centrifuge. In order to ensure the process in the use of these parts in regular drilling operation which influences the effective of oil well drilling. The electronic parts of the centrifuge are working the best by running certain period of time frame (like none-stop for hours) and avoid rapidly turn on and off of the centrifuge often can make sure less-failure of the parts as well. 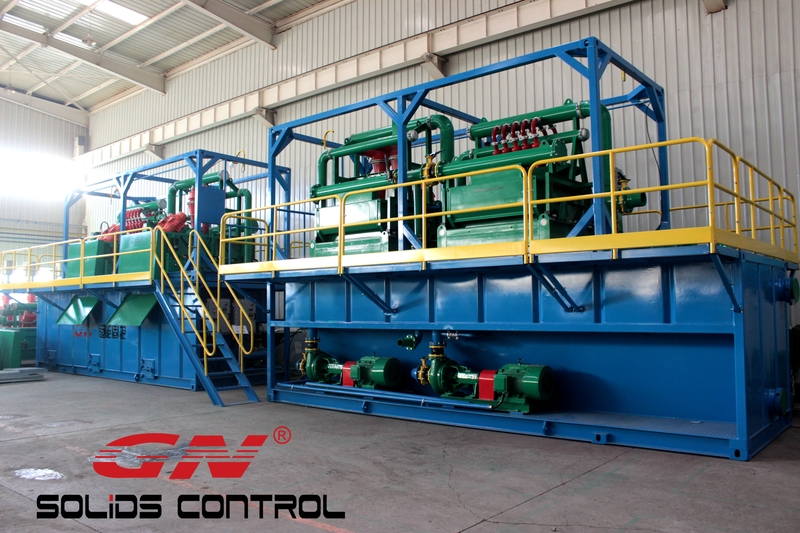 GN Solids Control is the leading brand of solids control in addition to drilling waste management based in Beijing, Tiongkok and Houston, US. As a way to deep the market, GN constantly invest in new product research, manufacturing management, quality control, client experience and after sales provider. With many years hard work, GN people open the market and also export large quantity of solids control equipment to foreign market. I am in Charge of Photography equipment market, and I will compose to focus on North Africa as well as West Africa market. Newcastle, south africa only have diamond, and very couple of oil drilling company productive there. The North South africa countries active in essential oil drilling including Egypt, Algeria. Libya have lots of necessary oil reserve, but the government is simply not stable and situation is appropricate for stable business development. This is certainly really great pity for our business. Tunis is only big with area, really not energetic in oil drilling exercise. I don’t know why. We should talk about Egypt and Algeria market. We just fixed registration with Egypt most significant drilling company, and if the merchandise is qualified, we will assist them in next several years. We hope so. In Algeria, it is really hard market the rest of the oil drilling activity is there. Every purchase practice need tender. The Gulf Africa top oil land is Nigeria. We have foreign trade over 2million dollar devices to Nigeria in the past a. And one drilling company have purchased 3 sets vertical cuttings dryer with regard to drilling waste management in addition to 10 sets of decanter centrifuge for solids control. The many equipment have been working for above 2 years and the client will be satisfied with the working performance. Hopefully the world crude oil value will go up to 80 money, and our business will even come up soon. Other To the west Africa countries, we have some clients. So , as a essential oil equipment supplier, we count on Egypt, Algeria and Nigeria in a large degree. Trust the business will restore in the near future. Best regards. 3) Industry Waste Water Treatment method. This is a good new to all GN clients: GN Solids Control makes a huge invest around the research and developing of various industry applications centrifuge. GN design and develop centrifuge per different separation calls for of different industry. GN Solids Control will promote a lot more new centrifuge models within the coming year. 2) Centrifuge for thickening sludge or even mud. It is to reduce often the solids percentage and make that suitable for Digestive tower therapy. 4) 3- phase centrifuge to split up 3- phase mixtures, for instance , two immiscible fluid stages with a kind of solid period. It is popular used for acrylic water and mud spliting up to treat the oily sludge in oil and gas drilling area. 2) Moreover, GN are the owners of a separate electrical department as well as facility for designing PLC and electrical control programs; this gives GN advantages with electrical control system with regard to measuring and control technological innovation. The performance and associated with the decanter centrifuge as well as three-phase centrifuges are considerably improved by the control system. 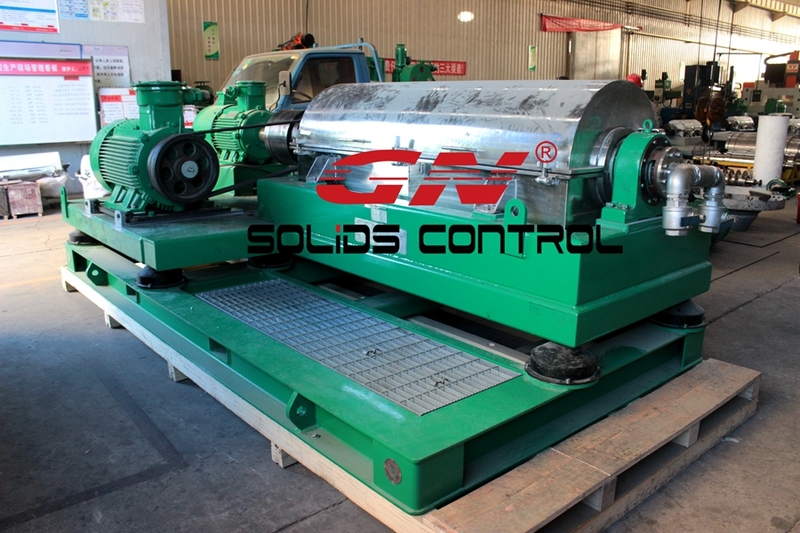 GN Solids Control have a commonly clients from overseas marketplace. Recently, we have one consumer from Thailand bought one placed 500gpm mud cleaning system for HDD project. The customer is GN old buyer who have used our solids control equipment in about 2 yrs before. The drilling mud system is working for the government pipeline project. 1) Shale shaker . The 4 panel shale shaker with longer shaker deck can treat the particular drilling mud in a lot better performance. The composite content shaker screen is alternative to Swaco Mongoose shaker. This kind of model shaker GNZS594 set have been used for CNPC, Sinopec, GSE, etc . many significant drilling companies. The opinions is very good, reasonable price tag and very high efficiency effectiveness. 2) Mud cleaner. The particular mud cleaner is with a single same GNZS594 series shaker, with one set desander cone and 8pcs desilter cones. The mud cleaner is three in one device, much compact design, in addition to good performance. The mud cleaner need two units centrifugal pump for nourishing the desander cone and desilter cones. For necessary oil drilling field, Most of consumer will need 2 sets decanter centrifuge for operation. Often the dual centrifuge system like one set high speed decanter centrifuge for lower gravitational pressure solids removal; one placed lower speed or midst speed decanter centrifuge to get high gravity solids treatment; screw pump for giving the dual centrifuge are drilling to be also concluded, as well as telescopic high skid for setting up. But for HDD field, usually clients only require decanter centrifuge in big project with much complex geomatics issue. Most of client will select GNLW452 middle speed centrifuge for proper use. Currently for HDD, the drilling depth will not so deeply as oil drilling, along with high speed decanter centrifuge is not really necessary. Middle speed along with big treating capacity regarding 1800RPM bowl speed could work perfectly for these kinds of task. 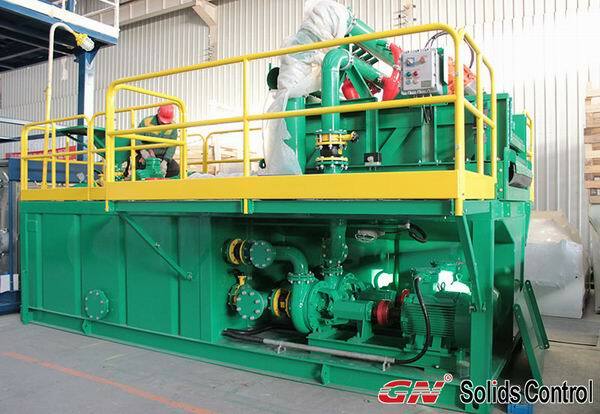 GN Solids Control have a widely clients from overseas market. Recently, we have one client from Thailand bought one set 500gpm mud cleaning system for HDD project. The client is GN old customer who have used our solids control equipment in about two years before. The drilling mud system is working for a government pipeline project. 1) Shale shaker. The 4 panel shale shaker with longer shaker deck can treat the drilling mud in much better performance. The composite material shaker screen is replacement for Swaco Mongoose shaker. This model shaker GNZS594 series have been used for CNPC, Sinopec, GSE, etc. many big drilling companies. The feedback is very good, reasonable price and very high efficiency performance. 2) Mud cleaner. The mud cleaner is with one same GNZS594 series shaker, with one set desander cone and 8pcs desilter cones. The mud cleaner is three in one unit, much compact design, and good performance. The mud cleaner need two sets centrifugal pump for feeding the desander cone and desilter cones. For oil drilling field, Most of client will need 2 sets decanter centrifuge for operation. The dual centrifuge system including one set high speed decanter centrifuge for lower gravity solids removal; one set lower speed or middle speed decanter centrifuge for high gravity solids removal; screw pump for feeding the dual centrifuge will be also concluded, as well as telescopic high skid for installation. But for HDD field, generally clients only require decanter centrifuge in big project and with much complex geomatics condition. Most of client will choose GNLW452 middle speed centrifuge for proper use. As it is for HDD, the drilling depth will not so deep as oil drilling, and high speed decanter centrifuge is not necessary. Middle speed with big treating capacity and about 1800RPM bowl speed can work perfectly for these kinds of job. Lately, we just export just one batch of solids control equipment to be able to Middle East. The equipment like some sets shale shaker, some sets mud gun, some sets mud agitator, some sets of centrifugal pump etc . The entire technique is drilling to Middle East regarding land rig operation mud mixing system. Except above devices, GN Solids Control likewise have other super star products to give high efficiency operating performance, and with very cut price. 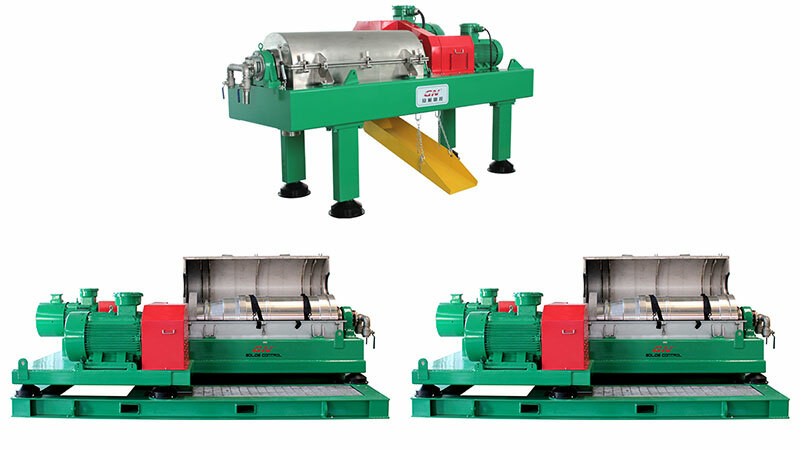 Decanter centrifuge is critical equipment working for oil mud cleaning system . Most of client will need 3 sets centrifuge for surgery. The dual centrifuge system including one set high-speed centrifuge for lower gravitational pressure solids removal; one established lower speed or midsection speed centrifuge for large gravity solids removal; bolt pump for feeding the actual dual centrifuge will be furthermore concluded, as well as telescopic large skid for installation. Top to bottom cuttings dryer is to handle the waste discharge through shale shaker , recycle the valuable drilling fluids and dry the actual solids. This vertical dryer is very good use to get oil based mud drilling cuttings. The OOC can reduce to below 5%, much hassle-free for following transportation or perhaps next stage treatment. If for water primarily based mud, most of client decide on High G drying shaker. The performance of High Gary the gadget guy drying shaker is not that very good as vertical cuttings dryer, but much lower purchase expense and maintenance cost. GNZS594HGE-LD HIGHER G drying shaker is employed in many different drilling computer site. And the high performing efficiency performance and less routine maintenance give good reputation to get GN Solids Control. The particular shaker screen is alternative to SWACO mongoose shaker, amalgamated material. If the client include GN this model shaker and need shaker screen urgently, the client can buy Mongoose shaker screen to mount the idea on GN shale shaker. However , we recommend clientele to buy some shaker screen in stock for use forward. Because the price of original Mongoose shaker screen is much more expensive. 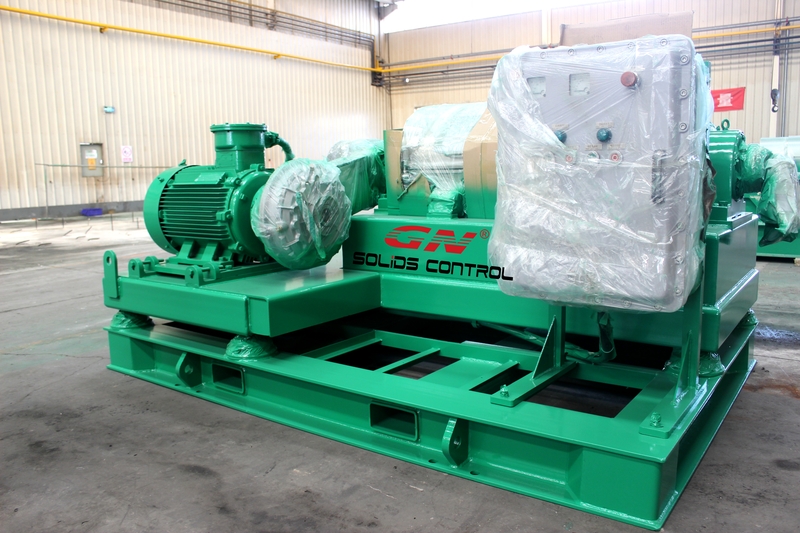 Recently, we just export one batch of solids control equipment to Middle East. The equipment including some sets shale shaker, some sets mud gun, some sets mud agitator, some sets of centrifugal pump etc. The entire product is going to Middle East for land rig operation mud system. Except above equipment, GN Solids Control also have other super star equipment to give high efficiency working performance, and with very lower price. Decanter centrifuge is necessary equipment working for oil mud cleaning system. Most of client will need 2 sets centrifuge for operation. The dual centrifuge system including one set high speed centrifuge for lower gravity solids removal; one set lower speed or middle speed centrifuge for high gravity solids removal; screw pump for feeding the dual centrifuge will be also concluded, as well as telescopic high skid for installation. Vertical cuttings dryer is to deal with the waste discharge from shale shaker, recycle the valuable drilling fluids and dry the solids. This vertical dryer is very good use for oil based mud drilling cuttings. The OOC can reduce down to below 5%, much convenient for following transportation or next stage treatment. If for water based mud, most of client choose High G drying shaker. The performance of High G drying shaker is not that good as vertical cuttings dryer, but much lower purchase cost and maintenance cost. GNZS594HGE-LD HIGH G drying shaker is used in many different drilling rig site. And the high working efficiency performance and less maintenance give good reputation for GN Solids Control. The shaker screen is replacement for SWACO mongoose shaker, composite material. If the client have GN this model shaker and need shaker screen urgently, the client can buy Mongoose shaker screen to mount it on GN shale shaker.